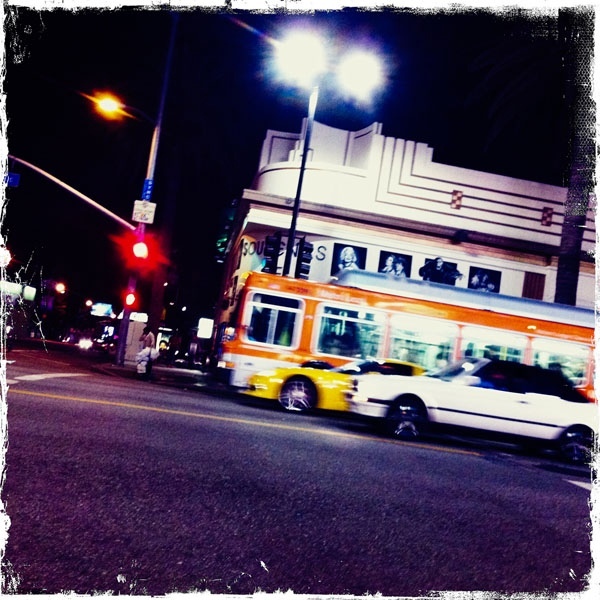 Manfred took this photo with the Hipstamatic app on the iPhone while visiting the L.A. area from Dusseldorf, Germany. As with yesterday’s “art of transit,” it’s another example of how Hipstamatic and other iPhone apps can be used to soup up photos to great effect. It looks like they are about to drag race!